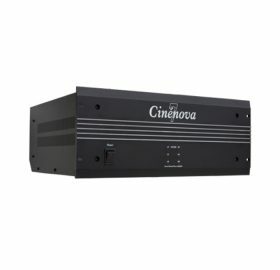 Система за озвучаване включваща 4 чифта по 4″ ARRAY високоговорителя и един 12″ субуфер с вграден 1000-Watt усилвател с USB/SD and Bluetooth, стойки и дистанционно. Подходяща е за караоке, църкви, храмове, басейни, фитнес центрове, училища, музика на живо , DJ и др. Earthquake DJ-Quake 2.1 is built upon the feedback we have accumulated from our successful DJ-10M and 8M powered DJ speakers launched a few years back. 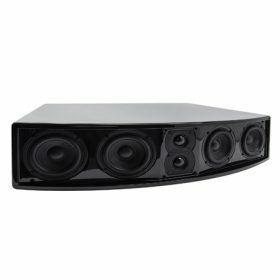 Many audio professionals asked for something bigger and more powerful, while still remaining easy to use like the DJ-M speakers. Enter the DJ-Quake 2.1 Line Array system. 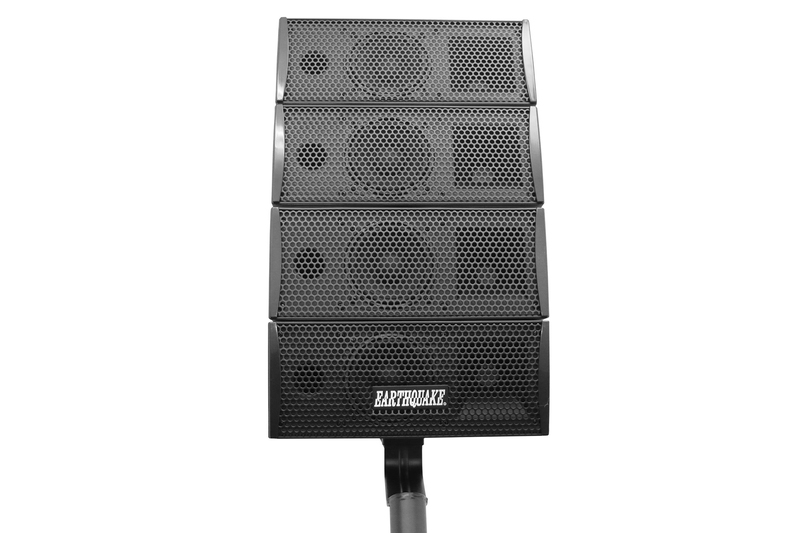 Adopting all the benefits of the modern line arrays used by large venue professionals. 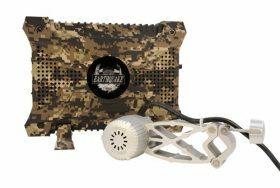 With everything built-in, the system is completely self-contained and requires no external equipment. Just plug in your signal and play. 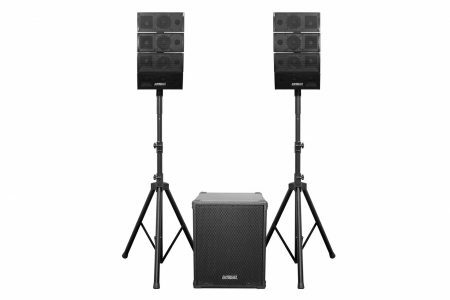 DJ-Quake packs a serious punch and is able to beam dispersion optimized sound over long distances thanks to its advanced array design. Even large indoor venues will have clear punchy sound in the back of the room. 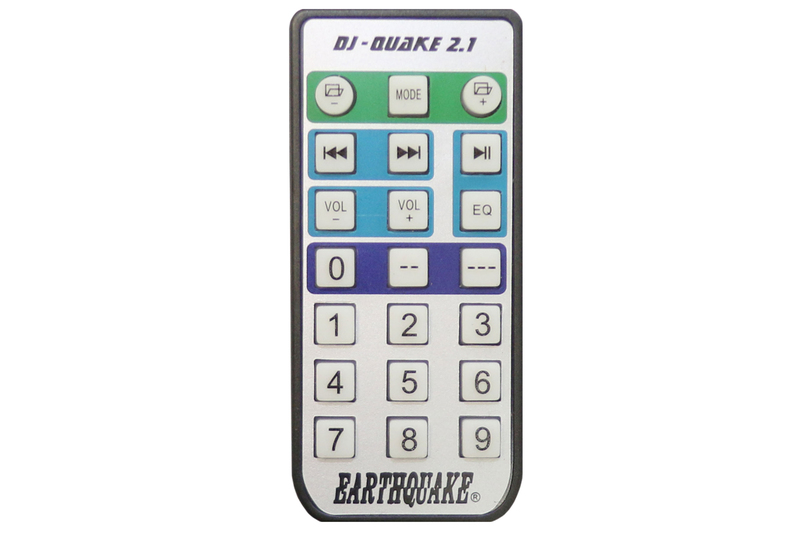 The DJ-Quake is designed to be user-friendly with no compromise in performance. 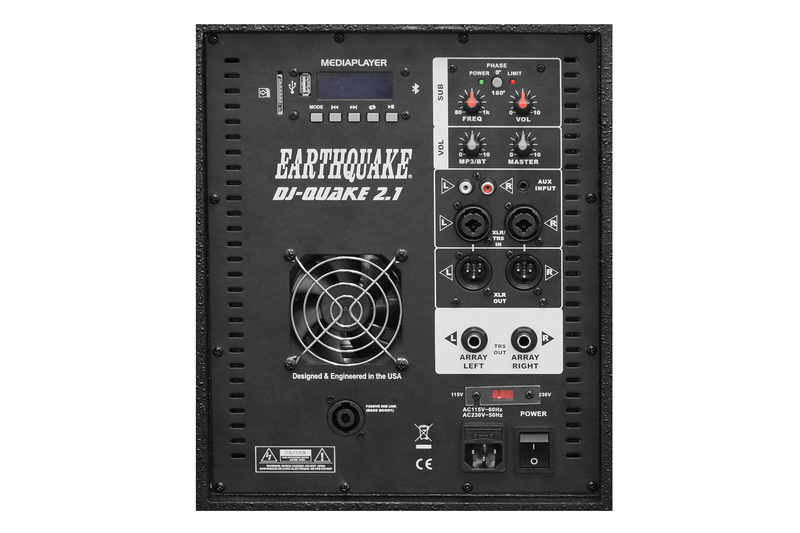 Featuring high power, small footprint, lightweight and versatility – the DJ-Quake is perfect for virtually any situation where sound reinforcement is needed. 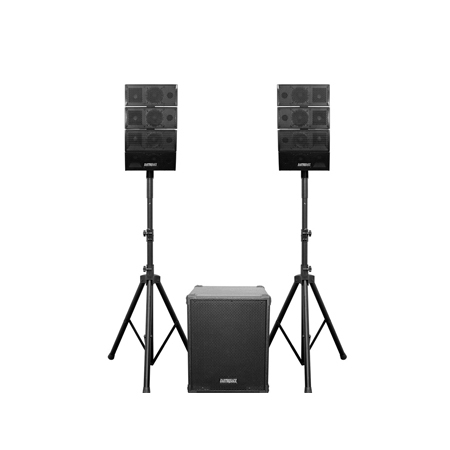 Being perfect for public address, karaoke, live reinforcement, club use or impromptu speaking at coffee shops, schools, fitness centers, etc. Built from the ground up with the fundamental elements that makes a product distinctly Earthquake – Power, Performance and Quality. 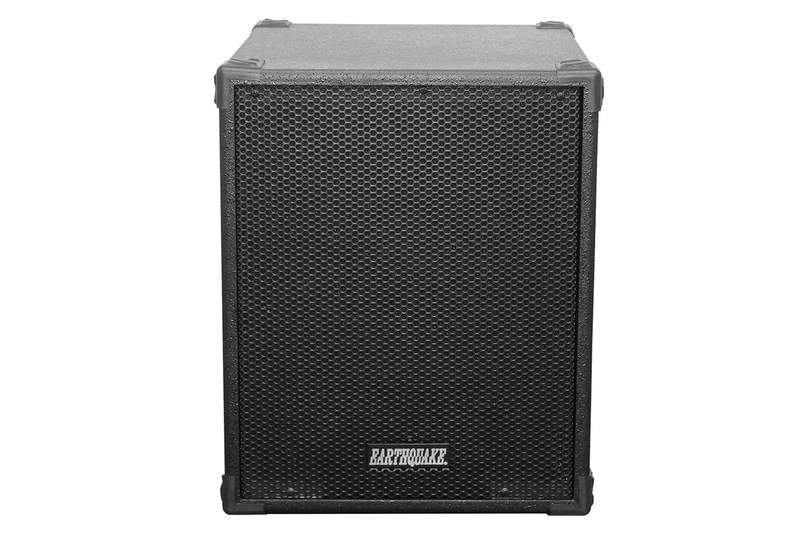 DJ-Quake offers amazing performance at an unparalleled price. 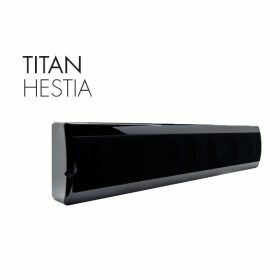 We believe that the DJ-Quake will become the genesis of a new class of DJ speaker systems – “The ultra-compact high performance line array” It will be the essential easy go-to solution for DJ’s, musicians, and pro audio professionals who require higher performance than can be had from regular powered DJ speakers. 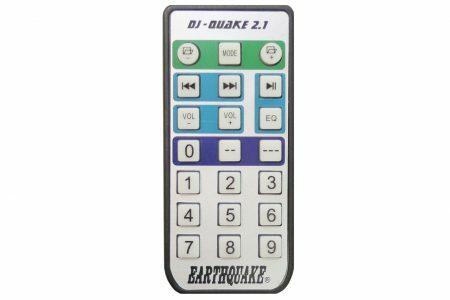 It is our sincere belief that the combination of price, performance and quality makes DJ-Quake the best solution in this category on the market today.